And if all those options fail, tuck it in. I am also a firm believer that a hat can liven up any outfit. You've seen me wear lots of different hats time and time again on this blog and I don't plan on stopping anytime soon. I'm so sad that this hat is sold out online because it is seriously the best color and the doesn't lose shape. (Floppy hats can sometimes bug me!) 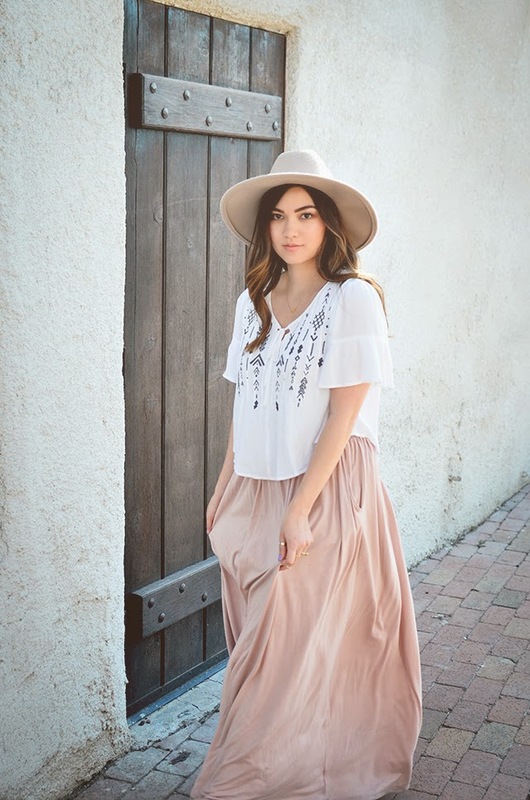 The soft oatmeal color is too pretty with this pale pink skirt. Color swooning over here. I totally agree with your hat comment! It's hard to go without one especially on the weekend! yes! there's just something about them that makes an outfit twice as cute!